Are you looking for Coach Hire Manchester? Bouden Travel Ltd is a coach hire company which provides value for money in the local Manchester area for all budgets, industries and clients. This includes weddings, schools, sightseeing tours, corporate and local authorities, as well as private hire with a driver for everything from Hen & Stag, do’s to local events and the local football teams like Manchester United and Manchester City and many more sports clubs. We can cater for all group sizes from a 4 seater car to 12, 14, 16 and 19 seat minibuses right up to 72 seat full coaches so if your looking for coach hire Manchester give us a call on 0800 112 3770. We can accommodate groups of all sizes, whether you’re looking for a coach to Manchester, coach companies manchester or cheap coach hire Manchester and the surrounding area it would be our pleasure to transport you. 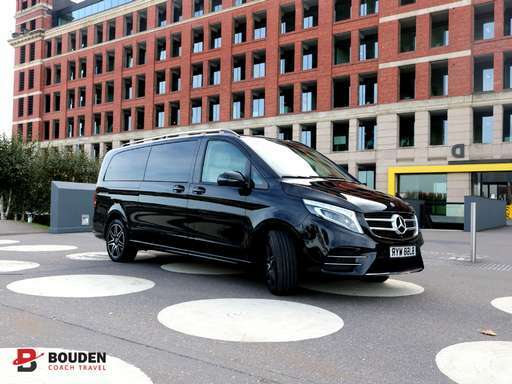 As well as the standard and executive minibuses and coaches in our fleet we also have luxury vehicles, these include luxury corporate minibuses, team coaches and wedding vehicles.